Many refer to Chef John Ash as the “Father of Wine Country Cuisine”. In 1980 he opened his namesake restaurant, John Ash & Company, in Santa Rosa, CA. which gained international acclaim and still is critically applauded. He has co-hosted a radio show for 29 years in Northern California. He also hosted two shows on the Food Network. John is an instructor at the Culinary Institute of America Greystone in the Napa Valley. John has consulted with a broad range of clients including Sonoma Cutrer Winery, Del Monte Foods and others. 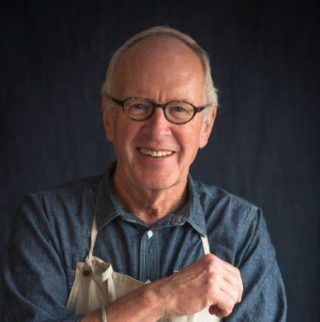 John has written 4 books and is a two time James Beard Award winner. Culinary Birds won a 2014 James Beard award and John Ash Cooking One-on-One won in 2005. He has authored two other books: From the Earth to the Table and American Game Cooking. The former was awarded the IACP Julia Child Cookbook of the Year. He has completed a new book Cooking Wild which was published in summer of 2016 by Running Press.